For any complex system, consisting of several organizational levels, the problem of causation is profound. Usually, science considers upward causation as fundamental, paying less or no attention to any downward causation. This is also true for the nervous system, where cortical neurodynamics and higher mental functions are normally considered causally dependent on the nerve cell activity, or even the activity at the ion channel level. This study presents a computational approach to decision making (DM) and downward causation in cortical neural systems. We have developed models of paleo- and neocortical structures, in order to study their mesoscopic neurodynamics, as a link between the microscopic neuronal and macroscopic mental events and processes. 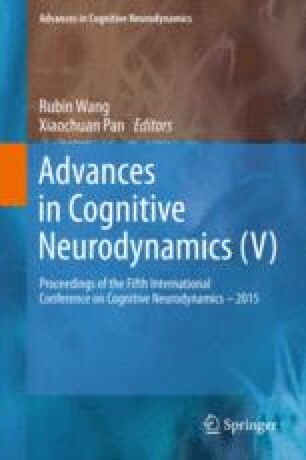 We demonstrate how complex neurodynamics may play a role for the functions of cortical structures. While microscopic random noise may trigger meso- or macroscopic states, the nonlinear dynamics at these levels may also affect the activity at the microscopic level. Grants from the EC-FP7 for COMPLEX, (Grant 308601) and from the John Templeton Foundation (Grant 39987) are gratefully acknowledged.